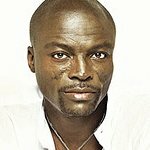 Seal will perform at the 2019 DKMS Gala in NYC on May 1. DKMS is an international nonprofit fighting blood cancers and blood disorders. It all started with one family’s search for a bone marrow donor. Today, DKMS is the world’s largest bone marrow donor center. So far, DKMS has registered 9 million potential donors and facilitated 77,000 transplants. However, thousands of patients are still waiting for their lifesaving matches. DKMS supports patients by registering more donors, raising awareness, and improving therapies and research— all in an effort to provide them with a second chance at life. 100% of the proceeds from the Gala fund the DKMS mission to delete blood cancer once and for all.